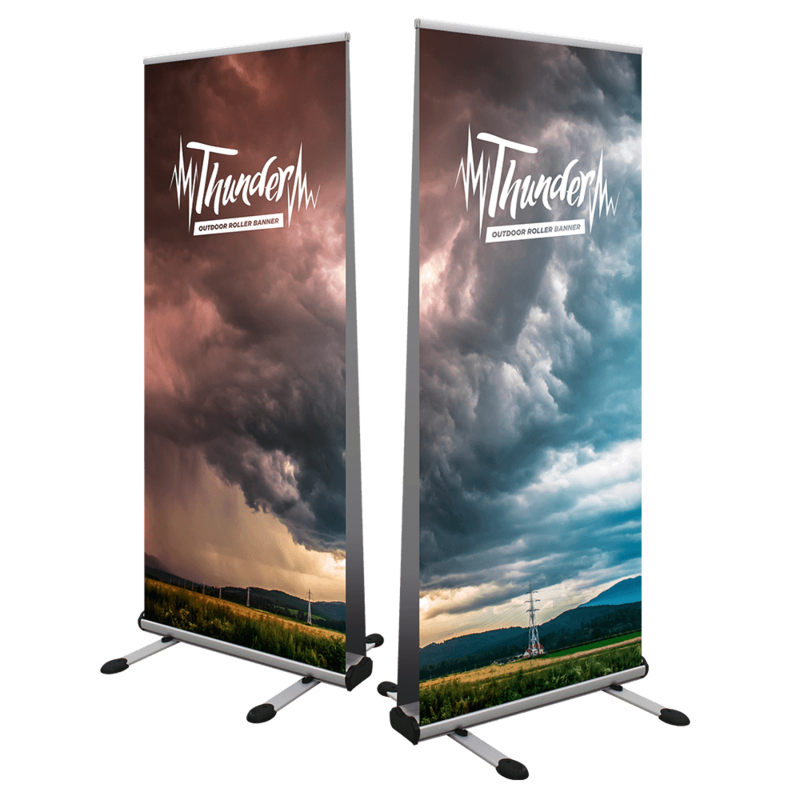 Thunder Outdoor Roller Banner Durable, practical, and easy to transport, the Thunder Outdoor Roller Banner is your ticket to a premium-quality outdoor display. 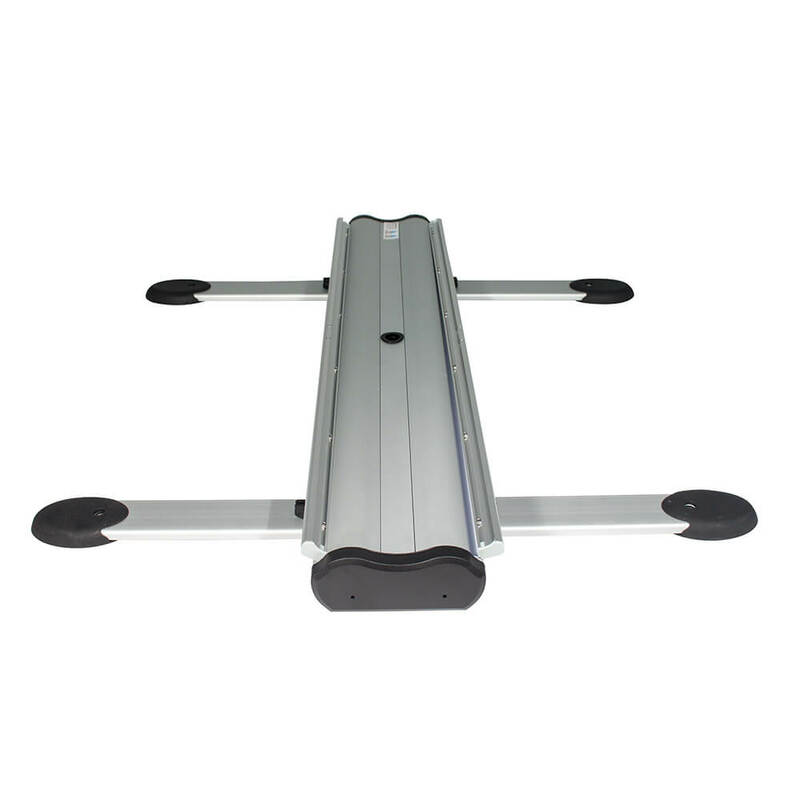 Showcase your business message at virtually any type of indoor or outdoor venue. Project Design Print will feature your bespoke graphic on 440gsm PVC. 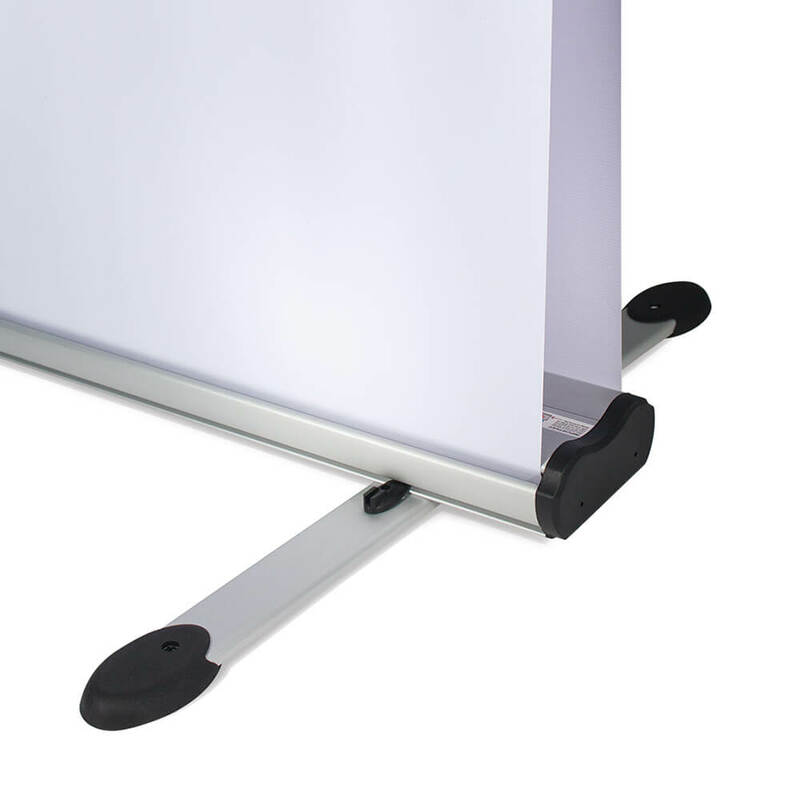 The Thunder Outdoor Roller Banner is double-sided, so you can project your message in two directions at once for maximum views. 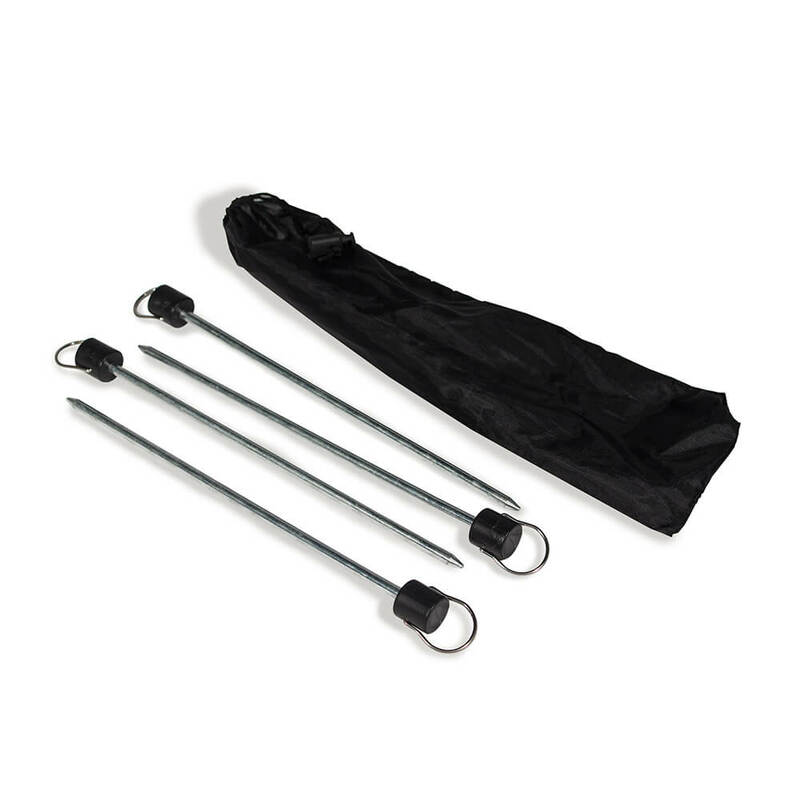 This retractable outdoor banner features large twin feet that promote stability and will arrive with its Grippa rail, three-part bungee pole, and premium padded bag. For sophisticated outdoor messaging, the Thunder Outdoor Roller Banner is a versatile option for today&apos;s multi-type marketing campaigns.